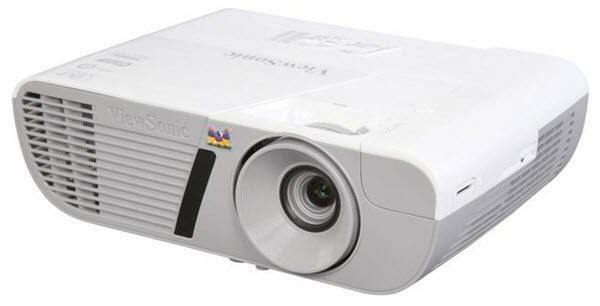 Normally when we talk about home video projectors as opposed to home theater projectors, we're referring to small, inexpensive units built for use in ambient light where traditional home theater projectors aren't bright enough to put up a satisfying image. These projectors have also been called living room projectors or home entertainment projectors, and they are usually brighter and lower in resolution than a home theater projector. The Epson Pro Cinema G6900 is a big step up from the traditional home video projector, being larger, brighter and higher in resolution. The Pro Cinema G6900 is rated at 6,000 lumens, and its WUXGA (1920x1200) resolution is much higher than typical home video projectors. With a pile of useful features and a good quality video image, the Pro Cinema G6900 may be an ideal solution for larger than average screens in ambient light. Since the Pro Cinema G6900 is made for ambient light situations there is a focus on light output and color saturation, while black level takes a back seat. In ambient light a projected image's black level is always compromised, so extra lumen output is needed to produce the sparkling image everyone wants. The G6900 accomplishes this with several preset color modes that produce up to five times the light output of many home theater projectors. Color accuracy is quite good without any calibration, even in the projector's brightest modes. The native WUXGA resolution LCD panels can display 1080p video without scaling, only leaving small black bars at the top and bottom of the image. What's more, the Pro Cinema G6900's frame interpolation system can eliminate judder from video signals and reduce it significantly in film. And when room lighting permits, the auto iris can deepen black levels significantly, so movies watched in the dark benefit from improved contrast. Whose idea was to name it as Home Cinema projector??! :D This is Pro installation series projector. Thank you for the review! This answers my questions about the G6450 (same series, lower lumen, no HdBaseT). One thing this does not have, that I do wish it did - screen trigger. Take note if that's important to you. I guess I'll just use my universal remote to handle that. It's work, just not quite as slick. This G series also does not do 3D, unless you buy two and stack them. That's something most home-video/theater users won't do (though I do have a friend that has the stacked Runcos - pretty sweet). 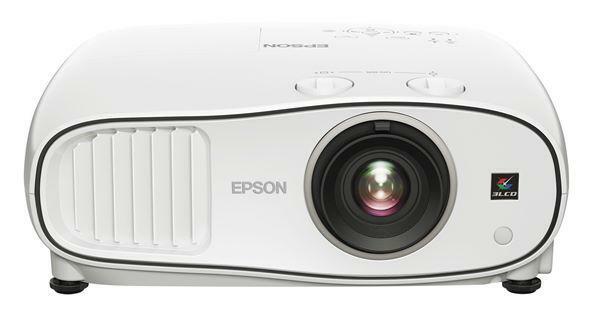 A projector with DisplayPort connection and input lag is not acceptable since Epson obviously planned this projector to be used with non-video sources. Then it got me thinking.... are all options for video available on the DisplayPort? I thinking perhaps some of the processing that slows input lag may not be an issue on DisplayPort. It would have been nice if you could test input lag separately on DisplayPort from HDMI to see if there is a difference. I would not have asked this question if there wasn't a DisplayPort present. It might be possible to circumvent the lag by using the DisplayPort for those who are concerned about input lag. Can someone confirm if the light engine has its internal polarization for all three colors in the same plane, as some previous models from epson had?